Paris Saint-Germain star Neymar revealed he "spent two days at home crying" after suffering another metatarsal injury. 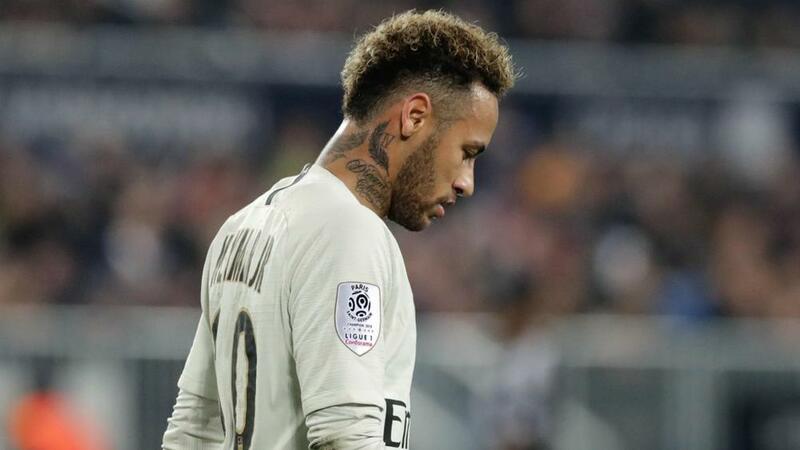 Neymar is recovering from a foot injury sustained in PSG's Coupe de France clash against Strasbourg last month, with the world's most expensive footballer facing another seven weeks on the sidelines. The former Barcelona forward suffered a similar injury last February which forced him to miss the remainder of the 2017-18 season. Discussing his latest setback, Neymar told Brazilian TV channel Globo: "This time I had a tough time getting over it. "I spent two days at home crying. It's more complicated. Before the injury, Neymar scored 13 goals in as many Ligue 1 appearances, while he netted five in the Champions League and a further two in domestic cup competitions.